For many IT staffing firms, the annual sales kickoff meeting is the only event where the entire sales team gets together during the year. It’s an awesome opportunity and a fun opportunity to get the year off on the right foot, but it is also a big investment beyond the upfront costs associated with travel expenses, space, entertainment, selecting a keynote speaker, dinning and lodging. The biggest cost is opportunity costs, taking sales reps out of the field (and off the phones) to attend the event. 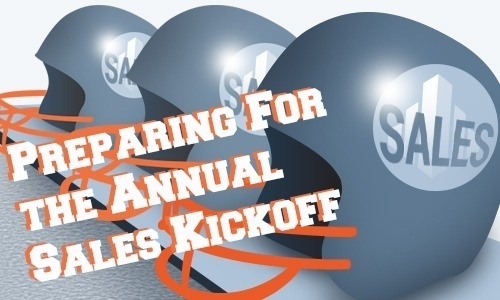 According to SAVO, the average sales kickoff meeting costs $2,000.00 per sales rep.
With sales kickoff’s being a such a big investment, the pressure is high for IT staffing leaders to maximize their sales kickoff. 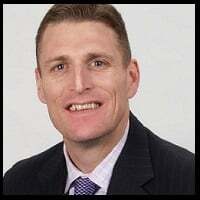 Every sales team will face their own challenges in the new year but the most successful sales kickoff meetings happen when teams execute on a well thought out list of goals and objectives that are designed to educate and inspire the sales team and a well planned user adoption and reinforcement plan is executed. Here are three ways IT staffing leaders can have a successful sales kickoff meeting. Sales kickoff meetings provide IT staffing firms with the opportune time to educate the sales team with valuable information that often gets overlooked in the day-to-day rat race. Sales reps should learn things like new service offerings, industry trends, shifts in the competitive landscape, understanding changes in buyer behavior, and most importantly, sharing new ideas and best practices including sales strategies and techniques that they can put into action. The key is to keep your content engaging, interactive, and condensed. Don’t waste time getting into the nitty-gritty details; instead focus on the most important, timely information that is relevant to them. Be crystal clear with your salespeople about how the content delivered will benefit them. One technique that works is to conclude each educational session with a success story, skit or role play. Taking the time to highlight how to use the information will make the content rise above the noise and ensure it gets applied. Sales kickoff meetings are also a prime opportunity to applaud individuals within your organization who embody the desired behaviors and deliver the expected results. Be sure to applaud those individuals including those who work behind the scenes such as sales support staff or operations. Let your people have the spotlight as it sends a strong, positive message to the entire team. One remarkable way to applaud sales professionals and inspire others is to have a client come in (or record a video) to say a few words about how their sales rep helped them solve their problem and achieve their goals. This sends a powerful message that highlights the desired behaviors and tactics that customers value. Most likely the reps who are able to earn this customer recognition are also the ones who are meeting or exceeding their quota. Let’s face it, selling IT staffing is brutal. The amount of time, dedication, rejection, and uncertainty can be overwhelming and demotivating. Your sales kickoff meeting is a perfect opportunity to inspire and energize your sales organization and build momentum for the new year. Regardless of how positive morale is, there’s always room for improving sales morale and inspiring winning behavior. Make sure executive leadership including your CEO takes the time at your sales kickoff meeting to speak to your sales team and reinforce the importance of their role in achieving company goals and objectives and fulfilling the company vision. Be sure to highlight key performance indicators from the previous year that showcase and recognize the work and results of the salesforce. Be sure to tie desired sales behaviors back to the achieved business results. This will reinforce your sales team’s work ethic, behaviors, strategies and tactics. For most sales professionals, knowing and feeling that they’re a key component to the company’s growth and that the CEO recognizes and understands the value of their work is highly motivating. Many would argue that this is the most important element of a sales kickoff. At the end of the day your sales kickoff meeting MUST inspire the sales organization to return to their offices and kick off the year with high energy, focus, and a winning attitude. Here in lies the biggest challenge, what to do after the sales kickoff meeting? How can you capture all of the ideas, enthusiasm and momentum generated from the sales kickoff meeting and ensure it doesn’t get lost 30, 60, 90 days later. In other words, how can IT staffing firms maintain the momentum throughout the course of the year? What new behaviors are we trying to drive and encourage? What do we want our salesforce to do more of after the sales kickoff meeting? How will these elements be tracked and measured? What is the plan to reinforce these behaviors and what role must leadership play? What is the plan to keep the sales team focused and motivated on these elements or behaviors? At a minimum, you will need to proactively schedule check-ins with team members following the event. This may include weekly, monthly and/or quarterly team meetings to review progress. I also suggest you incorporate sales gamification including contests to keep your team motivated and inspired. The bottom line here is if there is no follow-up from your sales kickoff meeting than I can assure you that there will be no follow-through by your sales reps.
What are your plans for your sales kickoff? Let's start a conversation in the comments section below.